Since emerging from television's "New Faces" Jim Davidson OBE has topped theatre bills in London's West End and at major venues all over the country; starred in and hosted a series of prime time TV shows including BBC TV's "Big Break" and "The Generation Game"; headlined record-breaking summer seasons and pantomimes and played highly successful concert tours with his adult show. His theatre production credits include hit West End shows "Buddy" and "Great Balls of Fire" and major family pantomimes throughout the UK. Jim was born in Blackheath, London and attended St Austen's School in Charlton. He had his first taste of entertaining at the age of twelve when he was chosen to appear in Ralph Reader's "Gang Show" at the Golders Green Hippodrome. A few years later found his way back into showbusiness when he went along to a pub in Woolwich where the regular stand up comedian hadn't turned up. Pushed into it by his friends, he ended up on stage telling gags... and the audience laughed. From then on he used to appear as often as possible in pubs and clubs across London and soon turned professional. On television "New Faces" in 1976 proved to be the turning point for Jim. It was followed by extensive appearances on television, including "What's On Next" and several series of his own show "The Jim Davidson Show" which ran for five complete series and won for its star the TV Times award as "Funniest Man on Television". He starred in high rating TV sitcoms "Up The Elephant And Around The Castle" and "Home James". 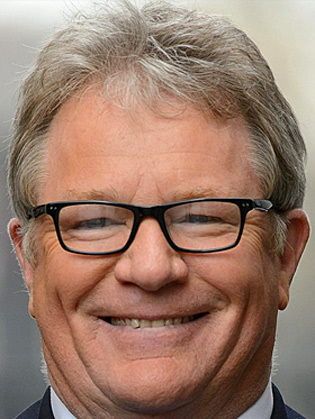 His one man show for Thames, "Stand Up Jim Davidson" was recorded on stage at London's Royalty Theatre and he hosted a BBC One series, "Jim Davidson Presents" from the Cambridge Theatre, London. He has also starred in a number of his own TV specials for ITV and BBC TV. He presented a BBC One TV special from HMS Invincible, "Homeward Bound for Christmas" and in 2002 he filmed "Jim Davidson Falklands Bound" which was screened during the 20th Anniversary of the end of the hostilities. In 2003 "Jim Davidson Basra Bound" was screened on BBC One and further BBC TV Specials of his top-rating live stand-up show have followed. Highlights of an outstanding career have included five visits to the Falkland Islands, and countless engagements throughout the world entertaining British service personnel. In 1999 he travelled to Macedonia to entertain the Forces and in the same year he founded and became leader of The British Forces Foundation charity which aims to promote the well-being and esprit de corps of service personnel. He continues entertaining the troops in the many hot spots around the world as the demand from the troops continues and, at the moment, this is at an unprecedented level. Jim's success has also embraced top-selling videos; DVDs; CDs and books and he was featured in the movie "A Zed And Two Noughts". His album "Watching Over You" was produced by Greg Lake and his best-selling autobiography titled "Close To The Edge" was published by Ebury Press. He recently worked with John Malkovich on the film Colour Me Kubrick, which made its international premiere at the prestigious Tribeca Film Festival, New York. Jim received highly critical acclaim for his role in the film. He regularly tours the UK with his record-breaking adult stand-up shows and he recently completed a hugely successful debut tour in Australia. Jim currently has a number of writing projects under way, including a cook book and a novel. He has just written his debut play, titled "Stand Up And Be Counted", an unflinching, no-holds-barred comedy which follows the explosive chain of events that unfold when two opposite ends of the comedy spectrum collide in the dingy, cramped dressing room of a charity fundraising event. In May 2012 Jim re-wrote his adult panto "Sinderella" with a Scottish twist, and performed as 'Buttons' at The Glasgow Pavilion, "Sinderella - The Scottish Romp." Jim is Chairman of the charity Care About Combat, which he set up in 2014 to help military veterans tackle alcohol and substance abuse and who wind up in prison.